United Nations Secretary-General António Guterres, following consultations with the Executive Board of the United Nations Development Programme (UNDP), wrote to the President of the General Assembly requesting the General Assembly to confirm Achim Steiner of Germany as the new Administrator of UNDP for a term of four years. The General Assembly confirmed the nomination on 19 April. The 55-year-old Brazil-born German citizen has been in the trenches of environmental activism since before his service at the UN, including work with the Washington-based International Union for Conservation of Nature. He’s even devoted his professional life – for example, while working as secretary general of the World Commission on Dams (WCD) – to pet projects. A commentator said : “In 2000, the WCD published a report showing how reservoirs posed dangers to the environment despite their importance for development. Notable for its holistic and sustainable approach, it is this viewpoint that Steiner brings to his new office.” (our emphasis). The UN had been considering other candidates, not just Steiner. France’s environmental minister, Segolène Royal, was a final contender – and noticeably unhappy about the UN’s selection. UN Secretary-General Antonio Guterres had actually promised the job to a woman, Royal said. She speculated that the UN tapped Steiner due to Germany’s role as an important donor for the UNDP, which relies on (voluntary) donations from individual nations. 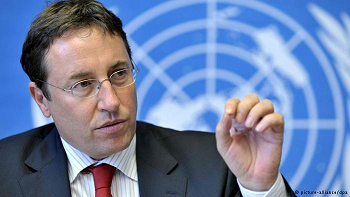 Mr Steiner was Executive Director of the United Nations Environment Programme between 2006 and 2016. He previously served as Director-General of the United Nations Office in Nairobi from 2009 to 2011, Director-General of the International Union for Conservation of Nature from 2001 to 2006, and as Secretary-General of the World Commission on Dams, in South Africa, from 1998 to 2001. A few weeks ago the Wall Street Journal published an article titled “Ending the Flood of Megadams: The $20 billion cost of the Itaipu Dam impaired Brazil’s finances for three decades,” hereinafter “Ending the Flood.” The article was written by professor Flyvbjerg and doctor Ansar, both of whom are attached to the University of Oxford’s Said Business School. A new decision by Chinese authorities will change the conditions for hydropower development, until now in unfair competition with electricity from fossil fuels. This is a study that anti-dam organizations won’t tell you about. Because it weakens most of their critics portraying dams as powerful agents of river destruction. That study suggests on the contrary that large dams provide “ecological and engineering resilience” to climate change in the Columbia River basin. Yes, we need to build more large dams for water storage and energy for sustainable development! There is now a rush to repair the spillways at the Oroville Dam in Northern California and lower the water level in Lake Oroville before rain arrives again. It is feared that damage to an emergency spillway could dump large amounts of water into the Feather River, which runs through downtown Oroville. This fear led to the evacuation of nearly 200 000 people living under the lake. The main dam (235m high) was never in danger and remains safe. 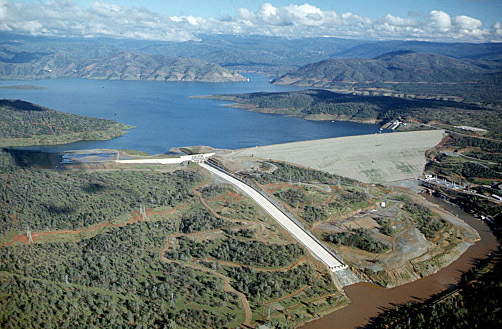 The Oroville Dam issue started with an unexplained structural failure of a lower part of the 3000-foot-long gated service spillway.